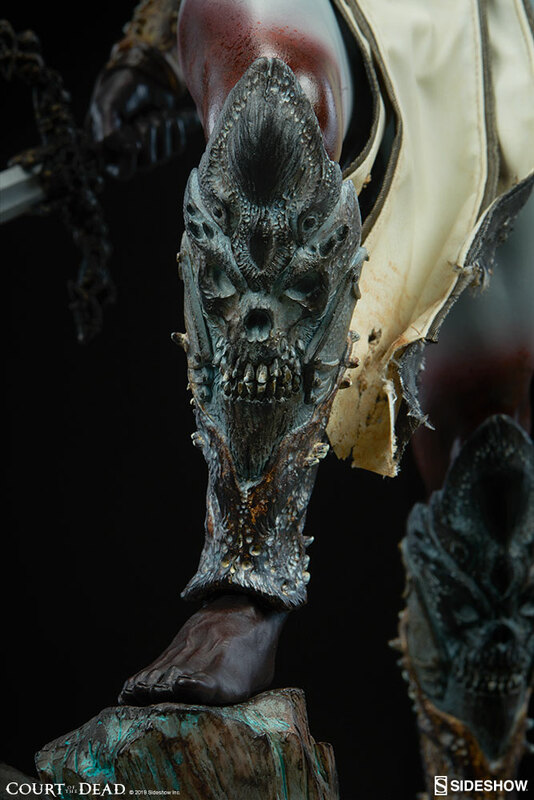 The hosts of Heaven and Hell don’t stand a chance against the First Sword of Death- faithful mourners, rejoice! 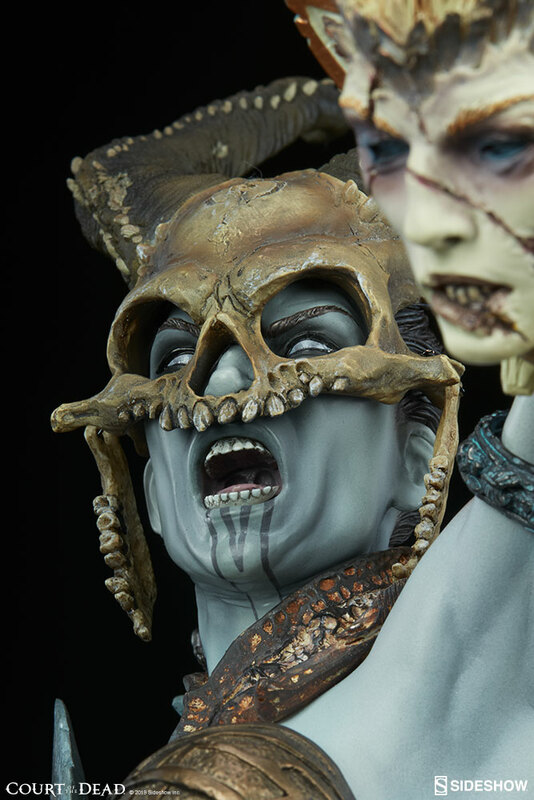 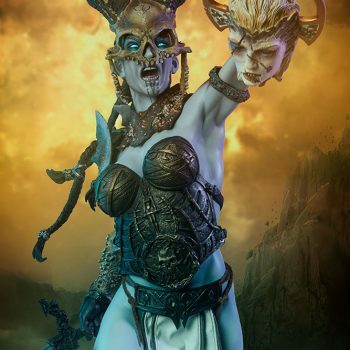 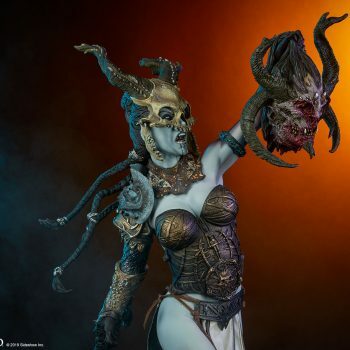 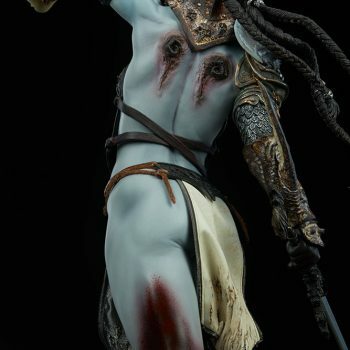 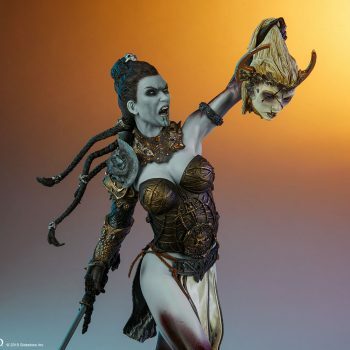 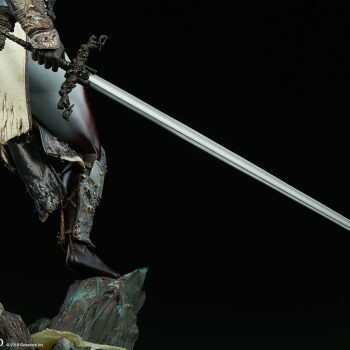 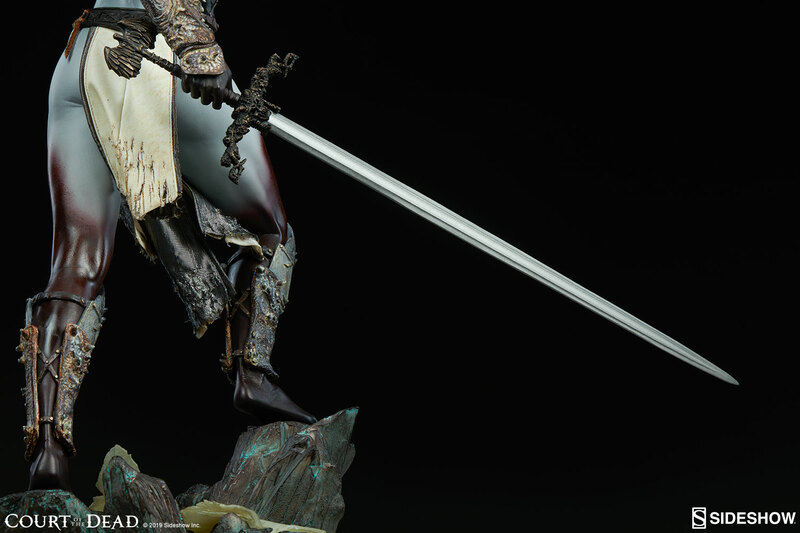 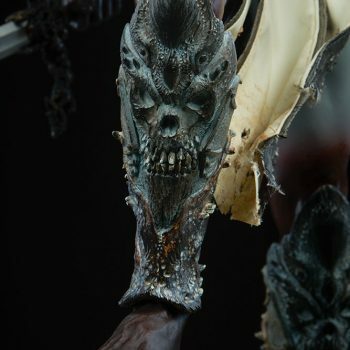 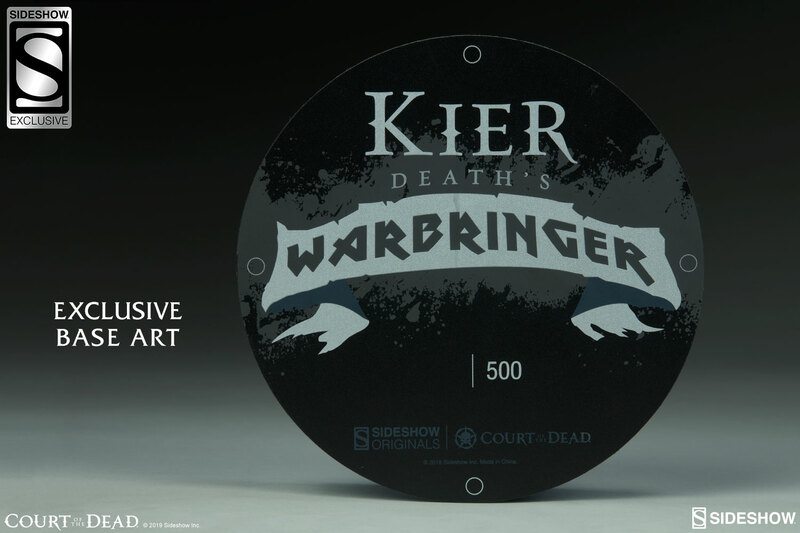 New production photos and an out of the box assembly video for the Kier: Death’s Warbringer Premium Format™ Figure have arrived to join your crypt of Court of the Dead collectibles. 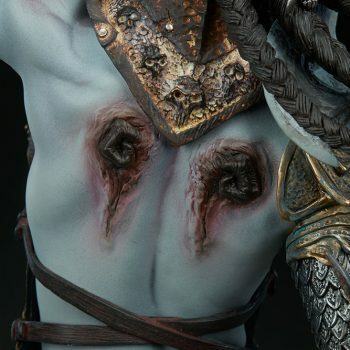 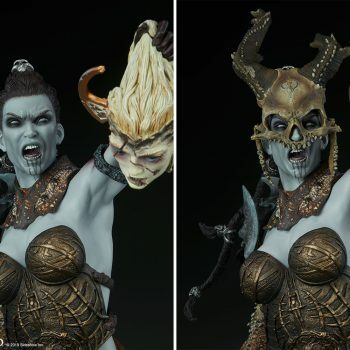 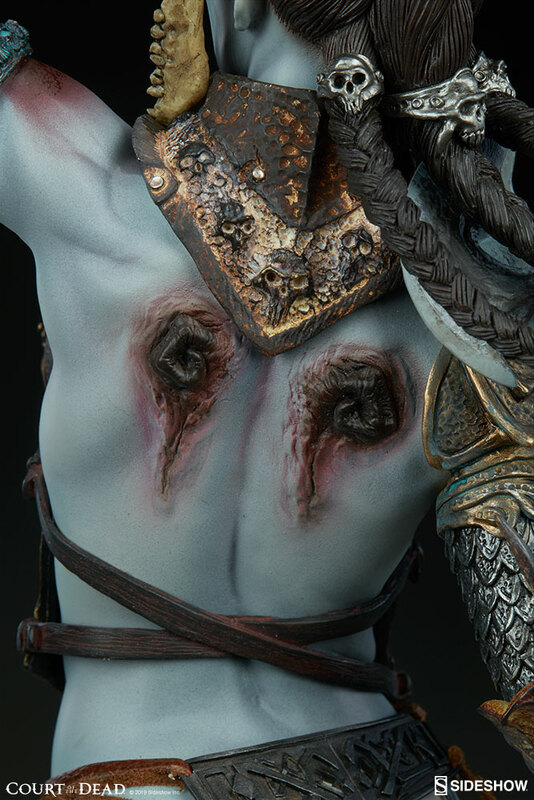 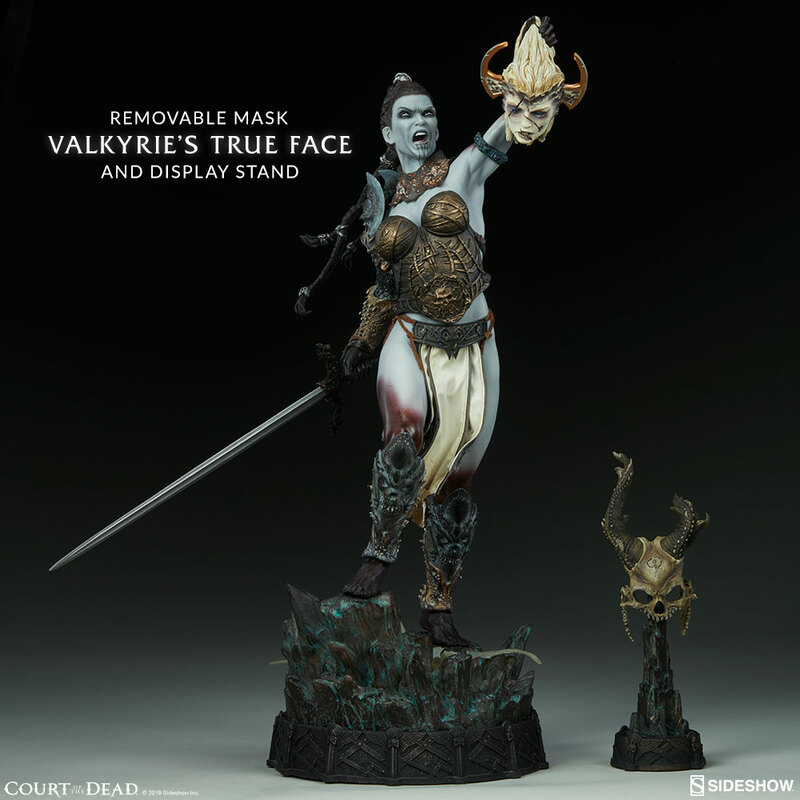 This new version of Court of the Dead fan-favorite Kier features more armor, more muscles, more rage… and, of course, the heads of her vanquished foes. 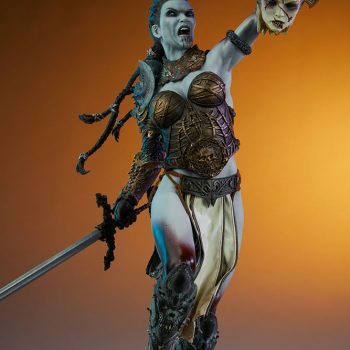 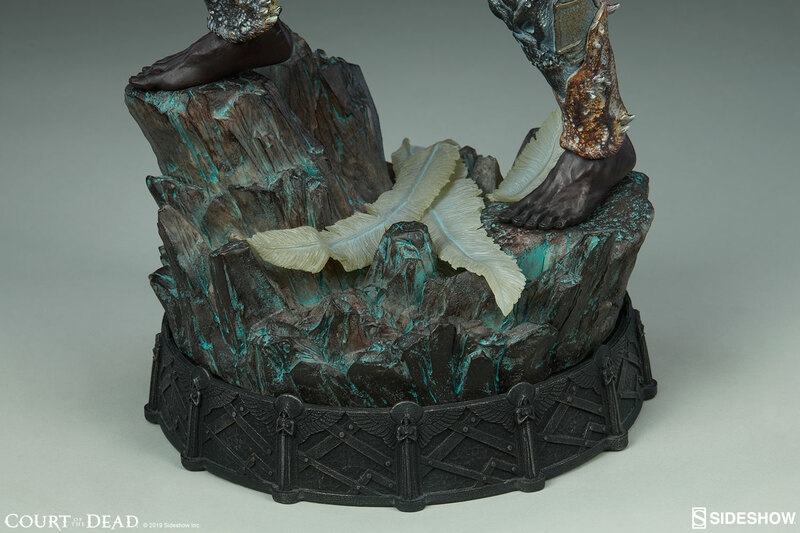 The Kier polyresin statue is over 21″ of pure aggression, from the bottom of her battle-damaged base to the tips of her bloody knuckles. 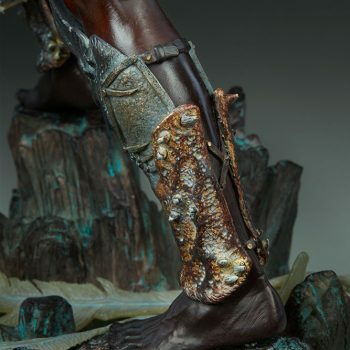 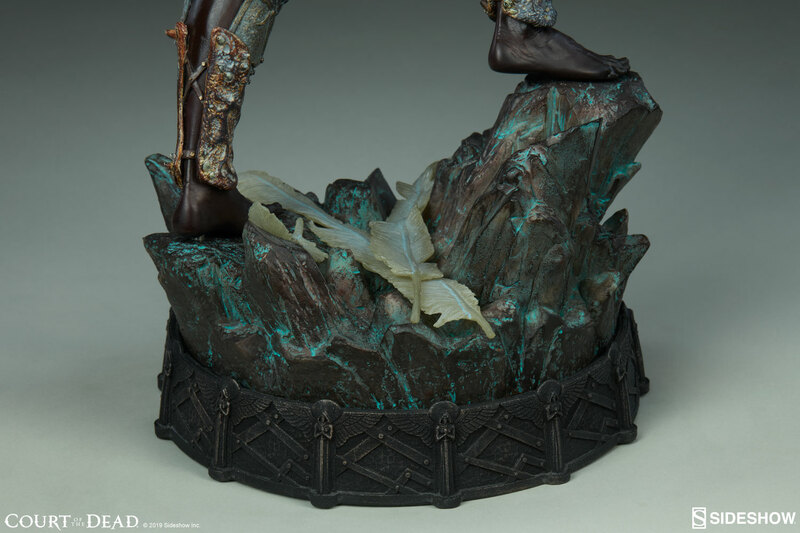 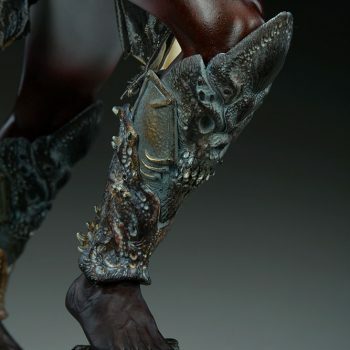 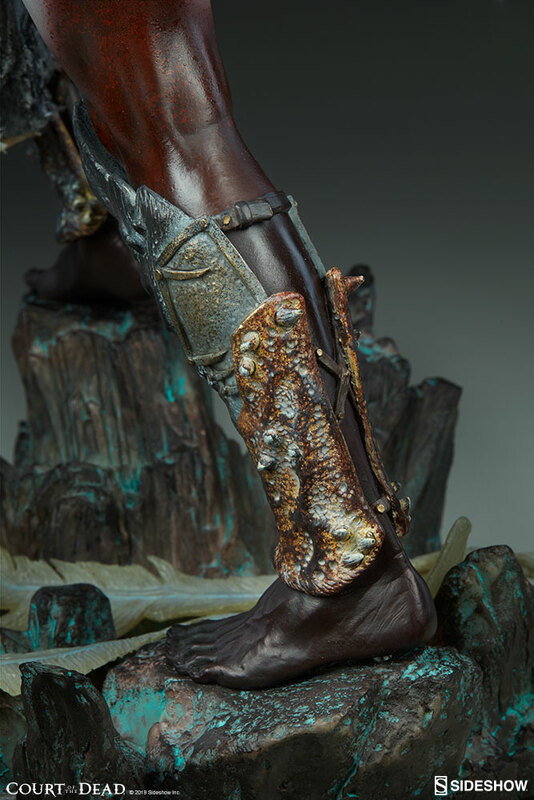 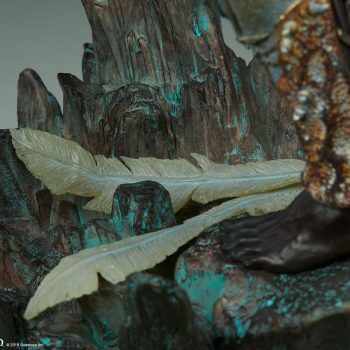 From every angle, this highly-detailed collectible packs an epic story-telling punch. 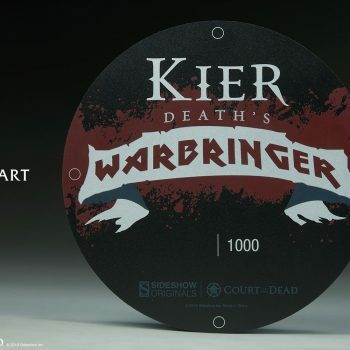 Kier is the adopted daughter of Death. 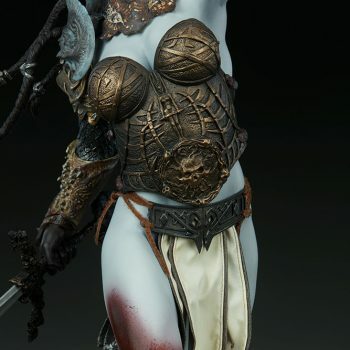 She is an angel, born in Heaven, but rejected for her imperfections. 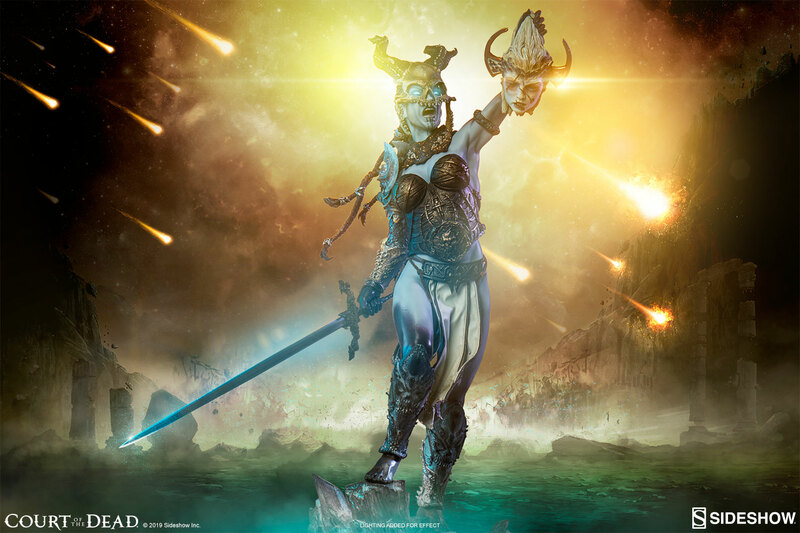 Left to perish, Death rescued Kier and nursed her back to health, forever earning her loyalty and affection. 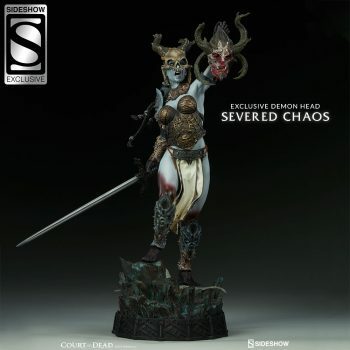 She now fights both Heaven and Hell as First Sword of the Underworld. 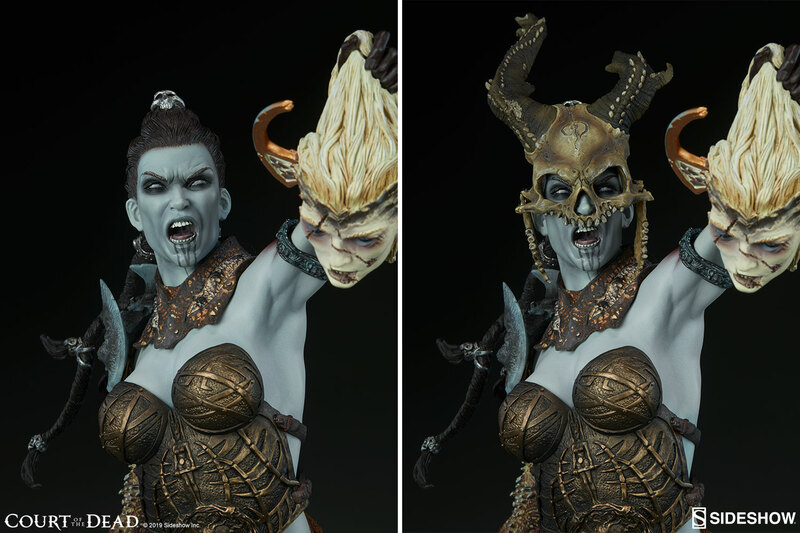 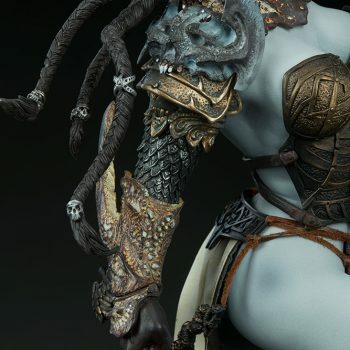 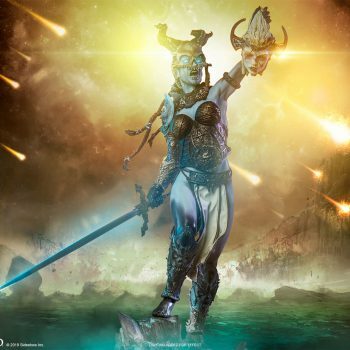 Death’s Warbringer features new, more ferocious armor and custom fabrics that compliment her action-packed sculpt. 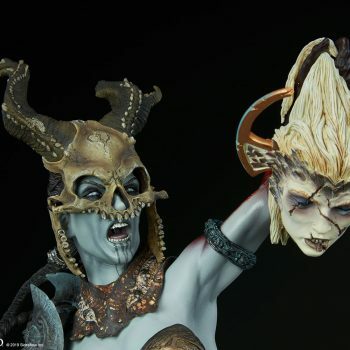 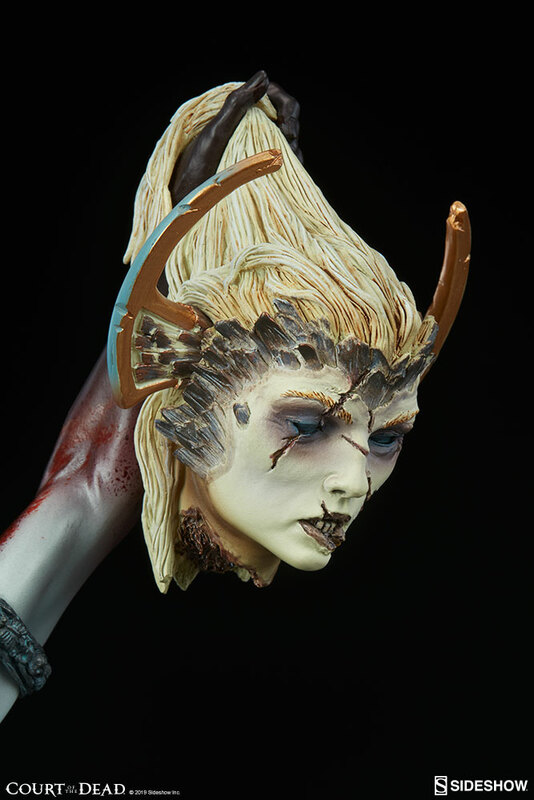 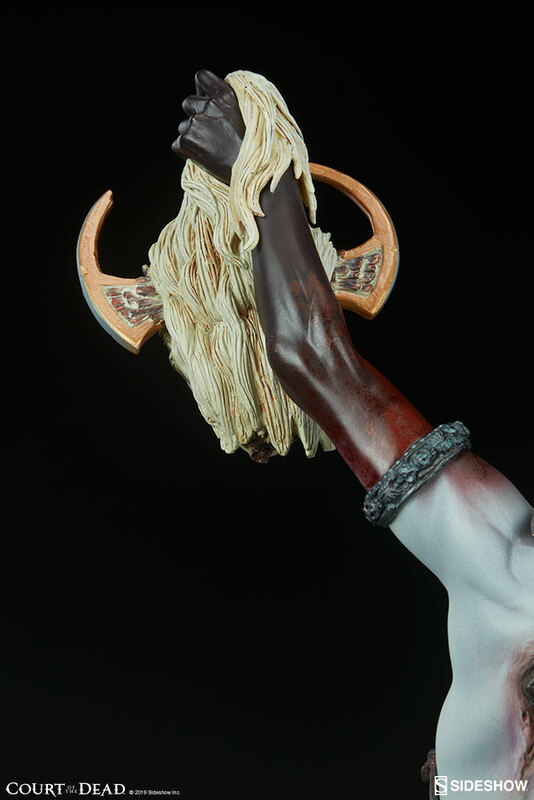 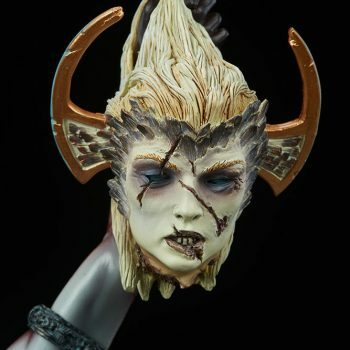 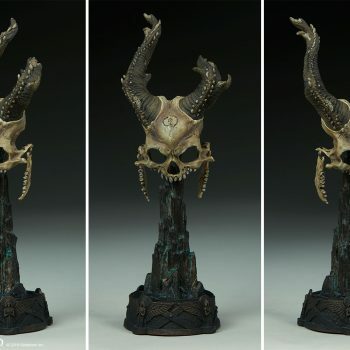 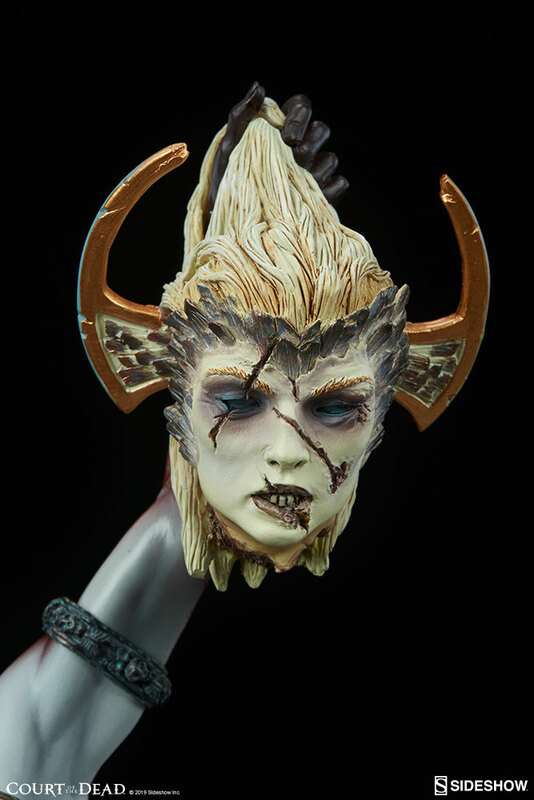 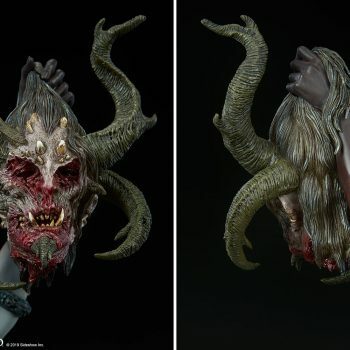 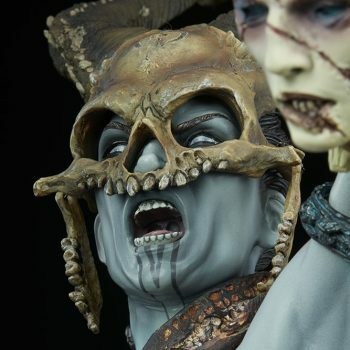 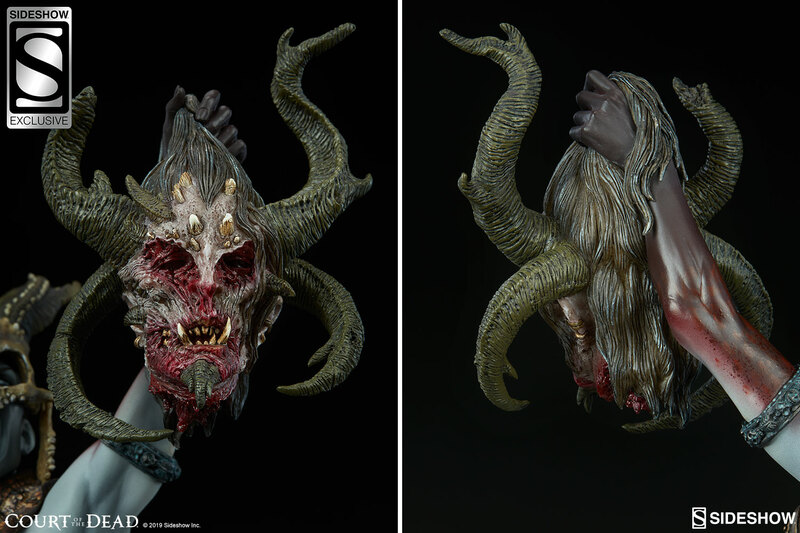 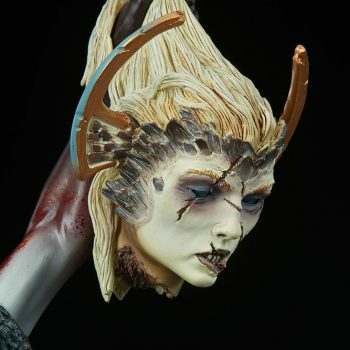 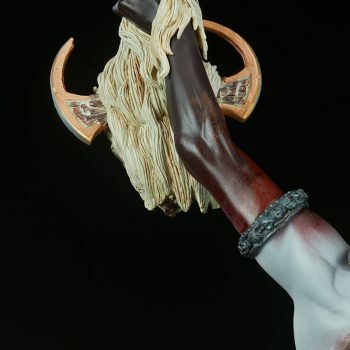 The Exclusive version of the Kier: Death’s Warbringer Premium Format™ Figure comes with Severed Chaos in the form of a grisly severed demon head, which can be swapped out with the angel head. 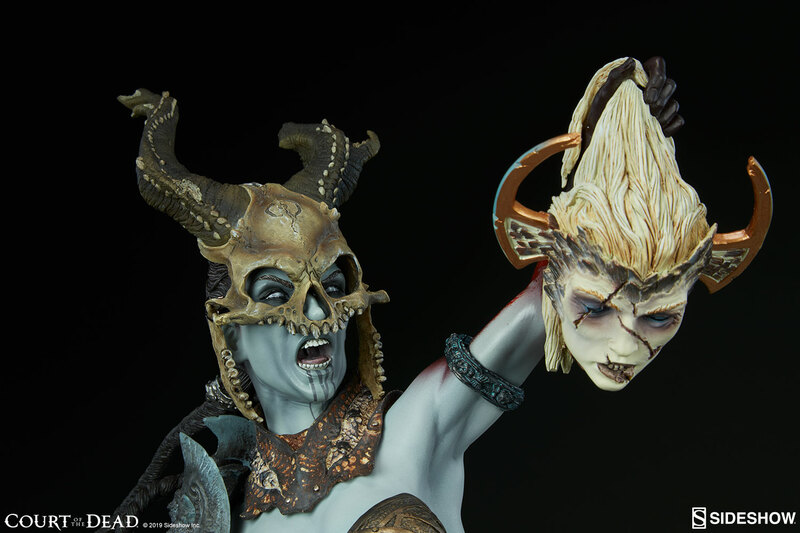 Kier abides by the ancient wisdom: Two heads are better than one! 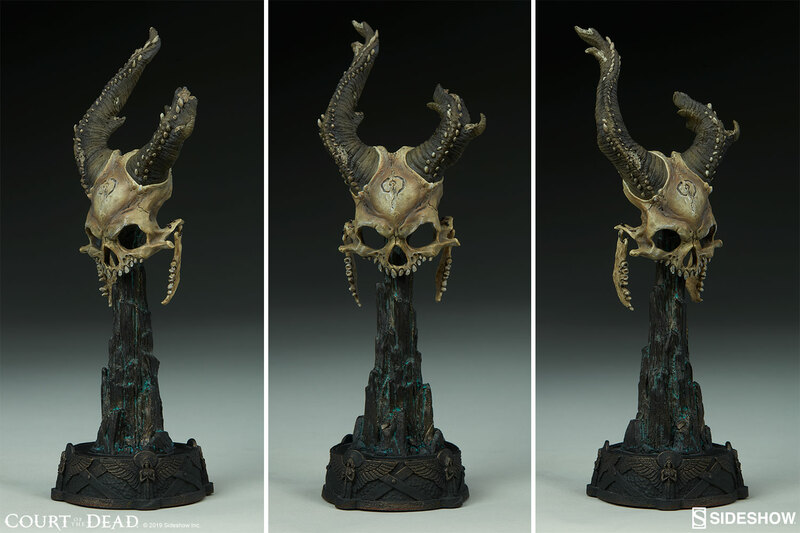 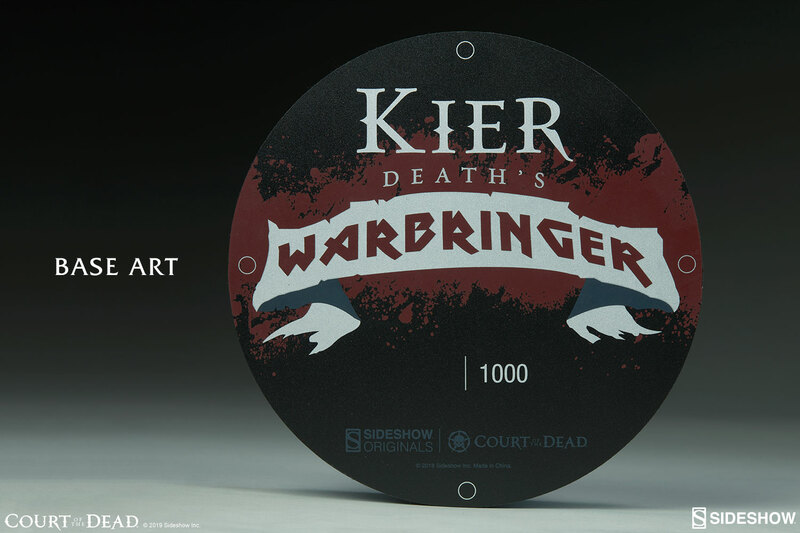 Kier: Death’s Warbringer is currently in-stock and available to add to your collection. 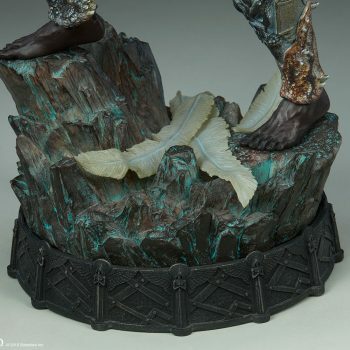 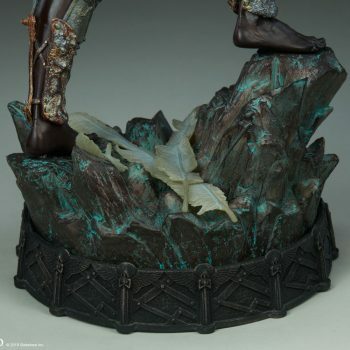 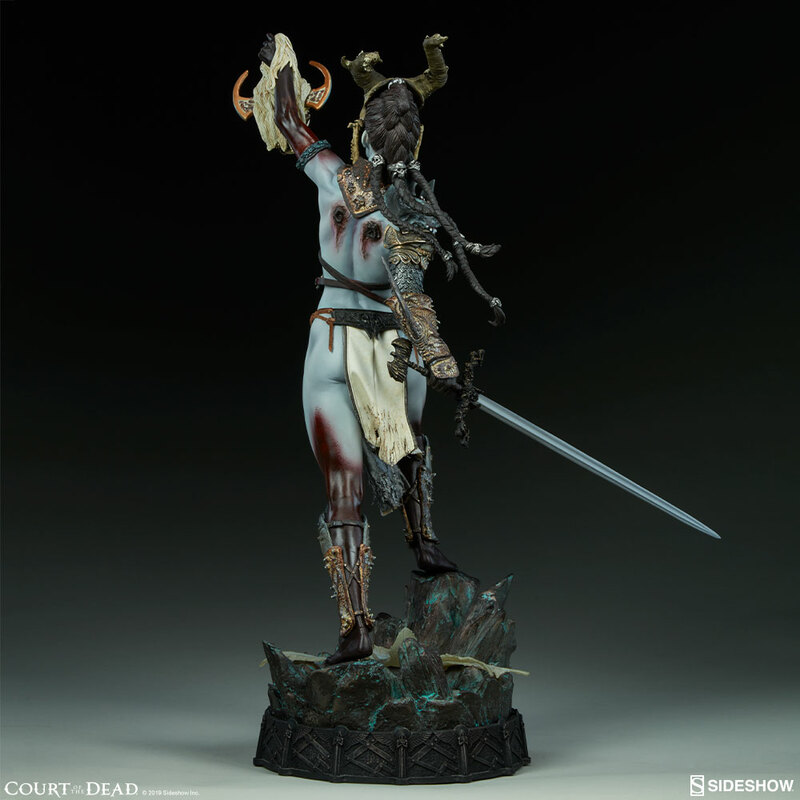 Don’t miss your chance to bring this fan-favorite Court of the Dead character from the Underworld to your home today! 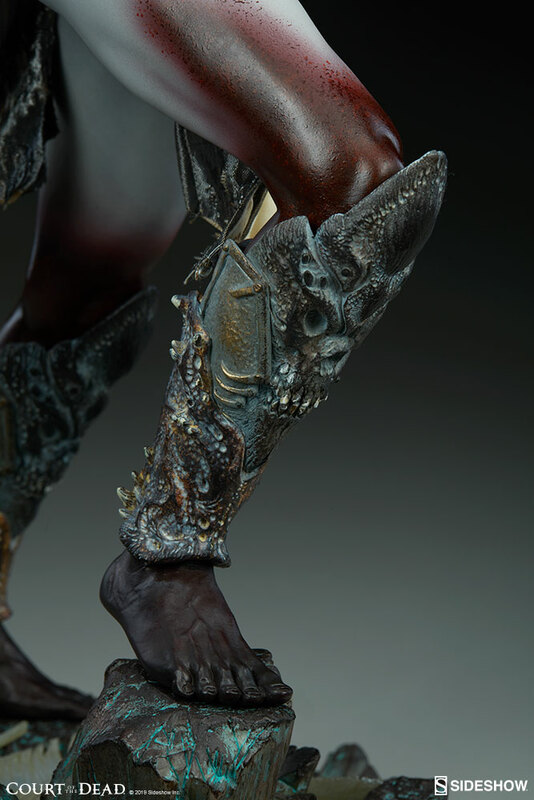 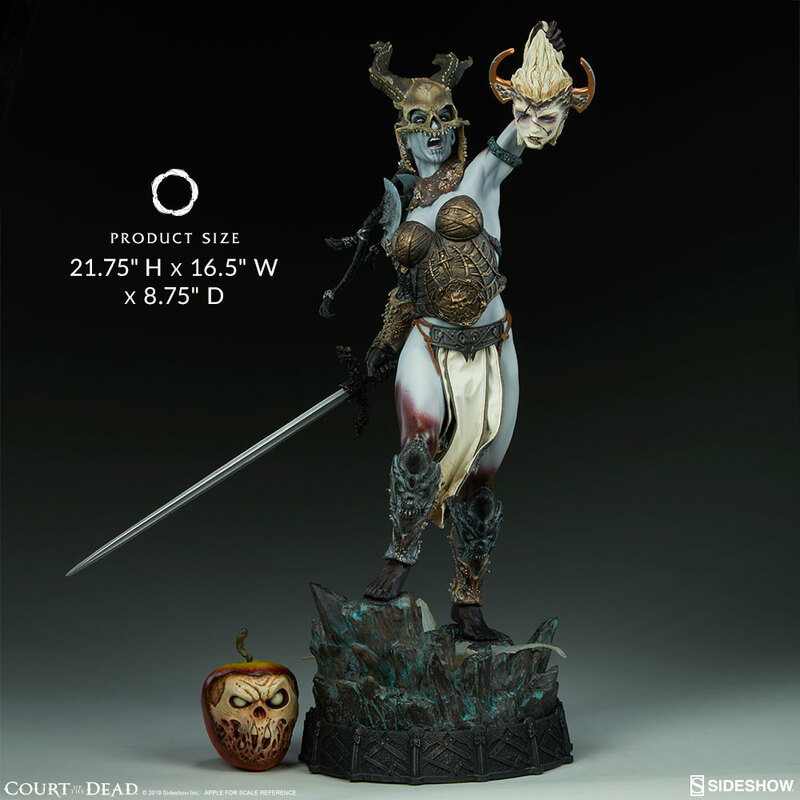 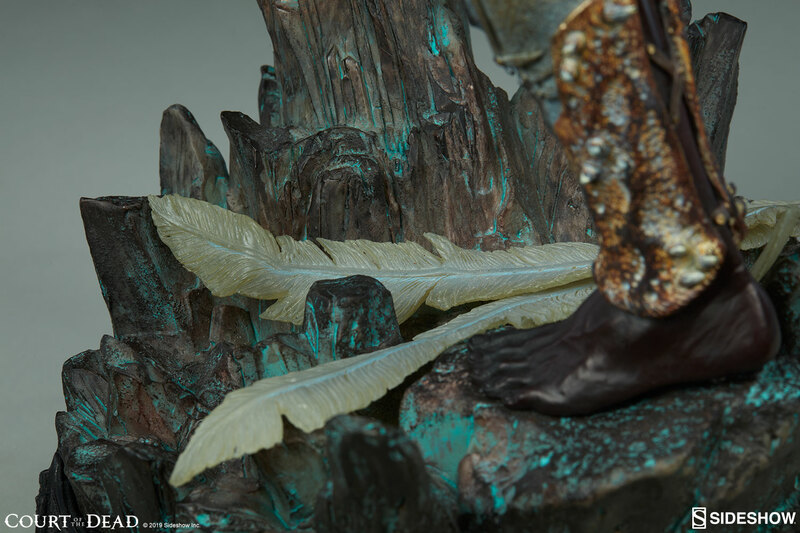 Declare your allegiance and check out Sideshow’s full offering of Court of the Dead collectibles. 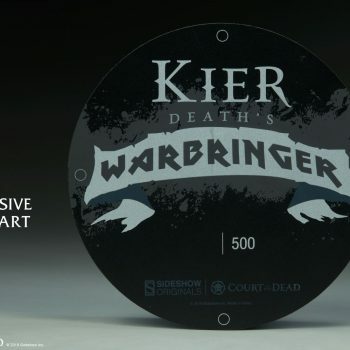 For how to unbox and assemble your Kier: Death’s Warbringer Premium Format™ Figure, see the official Out of the Box video below!